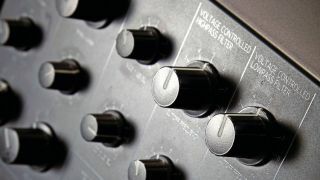 Filtered sounds have become ubiquitous in electronic music, and SampleRadar is now making it even easier for you to get in on the high- and low-pass action. Our collection delivers all manner of filtered fun, with some mad modulations thrown in for good measure. The filter fun samples are divided into six main folders, each of which is labelled to indicate the sounds contained within it. The filter fun samples are supplied in a zip file, so you'll need to extract them before you can see them. Enjoy!